Home › Blogs › Health & Nutrition › The battle against bugs starts NOW! I don’t know about you, but this year I’m almost looking forward to fly season because it means that after a long (and very cold) winter, spring is finally here! And with the right gear and right preparation, victory can be yours in the battle against bugs. The secret to success in besting the pests is to start early. There’s a lot more you can do then just going through bottle after bottle of fly spray (although you’ll probably need some of that, too! ), and a little planning can go a long way. Fly Predators work best when they’re released monthly throughout the summer, so make it easy by choosing automatic monthly shipping! If you’re looking to give your horse his own personal no-fly zone, there are supplements that may help! SmartBug-Off contains ingredients to help deter biting pests and discourage insects from breeding in manure. Plus it also provides omega 3 fatty acids, which help support a normal inflammatory response along with healthy skin. There are also supplements that can help prevent the development of flies in the manure of treated horses, like SimpliFly or Solitude IGR. These two products work best when all the horses in the barn are getting the supplement. If you’re planning to use a supplement, you’ll want to start it before fly season is in full swing as it will take several weeks to see the full benefits. For maximum fly-fighting power, you’ll want to consider using both physical and chemical barriers for fly protection. Physical barriers include things like fly sheets, fly masks, and fly boots as they provide a physical layer of protection that denies flies access to your horse. There are a lot of options to choose from, but we have a few favorites. The Cashel Crusader Fly Masks are great because they’re durable, comfortable, and come in several styles and sizes. And as a bonus, you can get them embroidered so you’ll always know which fly mask belongs to your horse! Our favorite fly sheets offer physical cover plus a repellent that helps ward off insects, like the SmartPak Deluxe Fly Sheet with No-Fly Zone or the Rockin’ SP Quarter Horse Cut Deluxe Fly Sheet with No-Fly Zone (Rockin’ SP is a great option if you have a horse with a stockier build!). For other repellents, you’ve got your good-old-fashioned insect repellents, like fly spray (I like to think of it as the perfume of summer). These repellents come in a variety of forms and sizes—sprays, and roll-ons, and concentrates, oh my! Fly spray is the most common form, and you can use it to mist your horse’s body. Most fly sprays come in a spray bottle or a concentrate that you dilute, which is generally the most economical solution. Roll-ons are a good way to apply repellent around more sensitive areas, like the face. 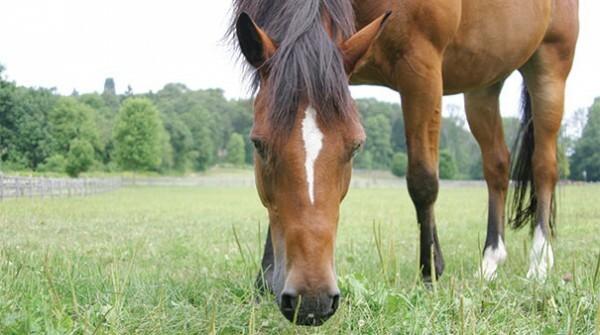 Ointments, like SWAT, are a great way to keep bugs off of wounds or out of your horse’s ears. So you can see there’s no reason to bug out—we’ve got everything you need to keep pests at bay this season. But don’t delay—start gearing up today! And if you want some one-on-one advice, just give us a call, email, or click to chat—we’re always happy to help!